Katie Derham hosts Proms Extra, the weekly Proms magazine show. The spotlight is on Bach's St John Passion and the Proms debut by the China Philharmonic Orchestra. 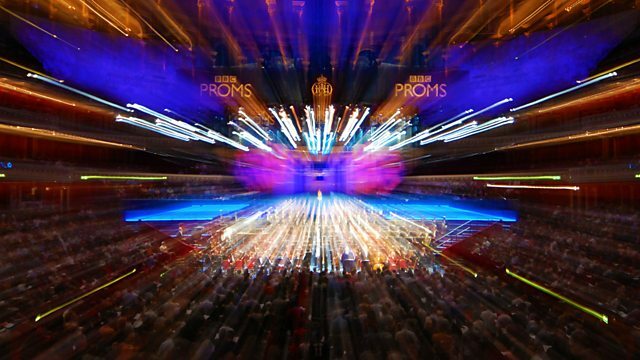 Katie is joined by the leading stars of the musical world for lively conversation about all that the Proms have to offer and David Owen Norris presents Chord of the Week with a nod to Mozart. Conductor: Sir Roger Norrington. Orchestra: Irish Chamber Orchestra. Conductor: Juanjo Mena. Orchestra: BBC Philharmonic. Conductor: Vasily Petrenko. Orchestra: Royal Liverpool Philharmonic Orchestra. Performer: Inger Dam-Jensen. Conductor: Sir Roger Norrington. Orchestra: Irish Chamber Orchestra. Performer: Zurich Sing-Akademie. Conductor: Long Yu. Orchestra: China Philharmonic Orchestra. Performer: Haochen Zhang. Conductor: Sascha Goetzel. Orchestra: The Borusan Istanbul Philharmonic Orchestra. Conductor: Josep Pons. Orchestra: BBC Symphony Orchestra. Performer: BBC Symphony Chorus. Performer: Ingrid Fliter.